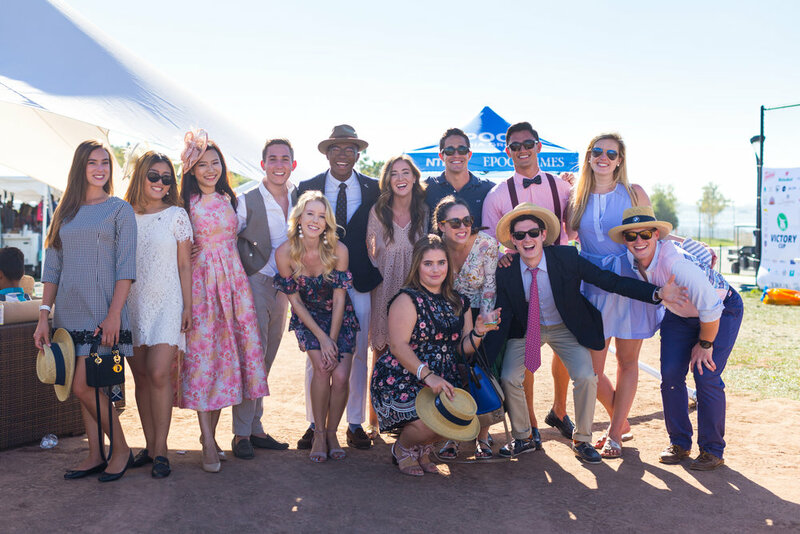 The weekend before last was truly a blast! 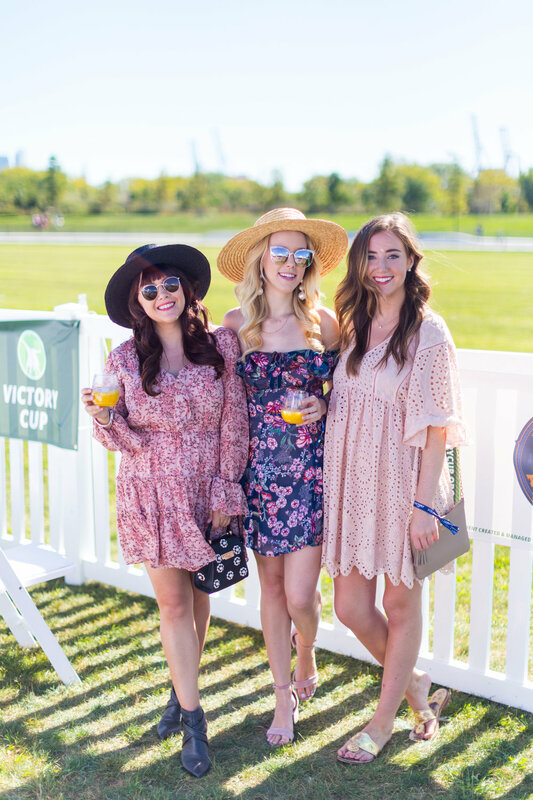 I'd been invited to the Victory Cup Fall Classic and was able to bring along a ton of friends. Ashley even flew up for the weekend so she could attend! 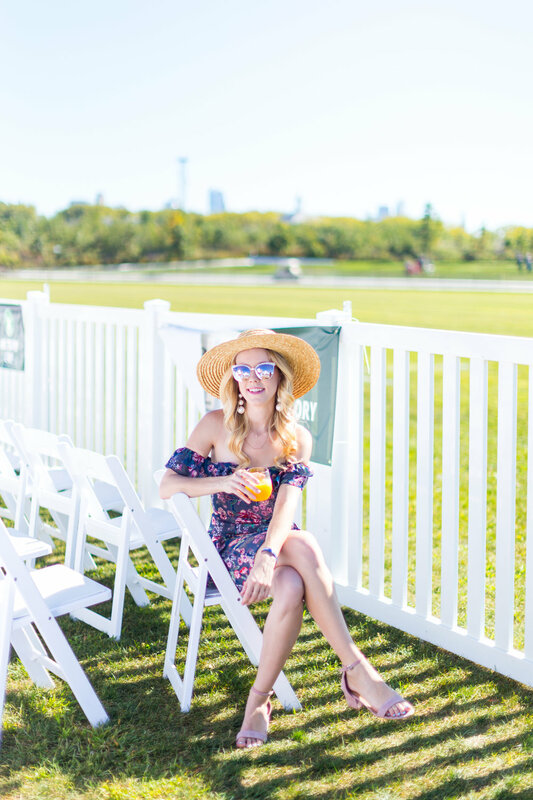 My first ever polo match was the Veuve Clicquot Polo Classic at the beginning of summer with Igee and now my second marked the beginning of fall... Maybe I should make this a new tradition to ring in each season with a polo match! 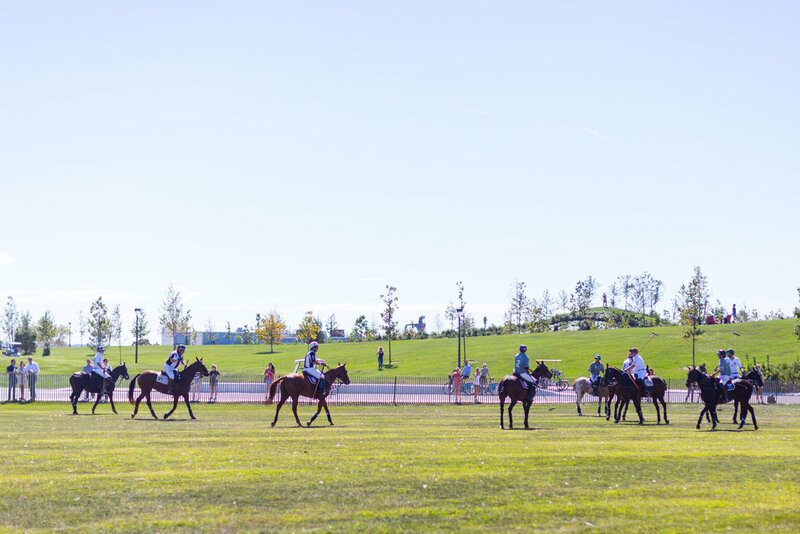 Though I'm not well versed on polo, I did grow up riding horses and at one point owned three of my own. 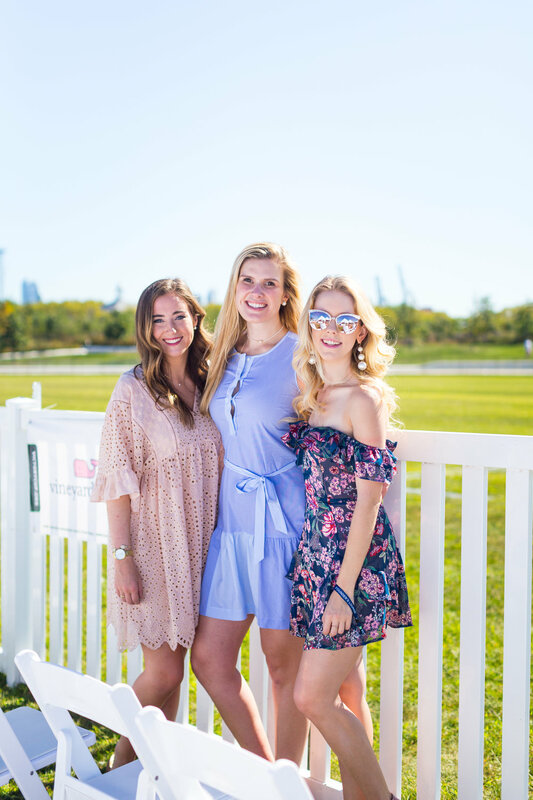 Polo really is a great sport for me as it combines many of my favorite things into one event: fashion, food, friends, drinks, and horses. 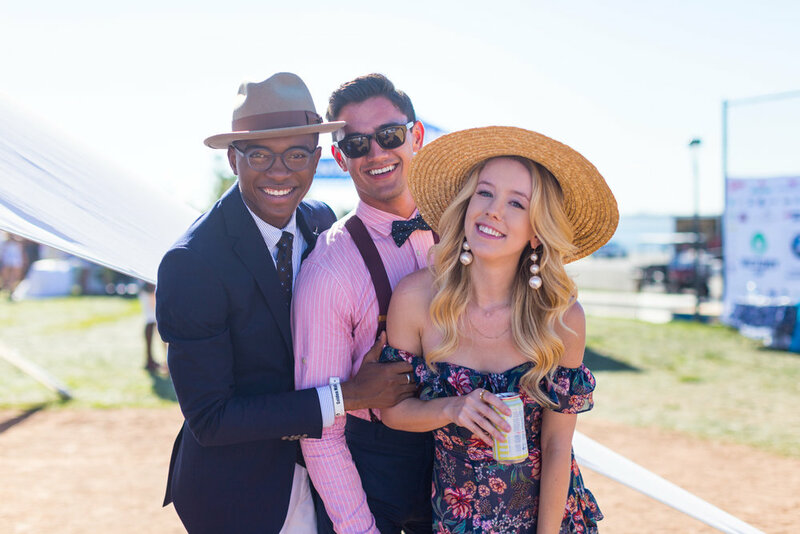 After snapping some photos we began drinking and mingling until the next thing we knew, the horses had taken the field. 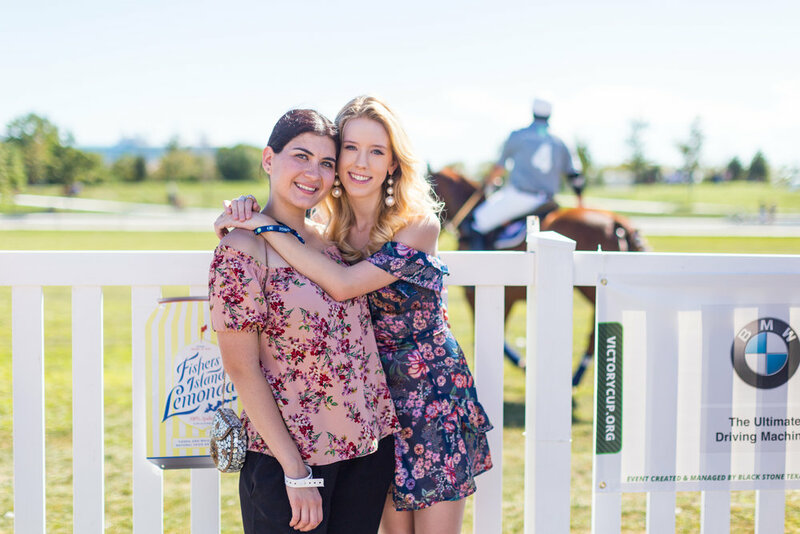 One of the best parts of the day was when we all ran out onto the field to stomp the divots and we got to meet some of the horses. I wasn't too sure what to wear and honestly didn't start thinking about it until a few days before. I wanted something that looked fall but felt more summer as the forecast was predicting above 90 temps. 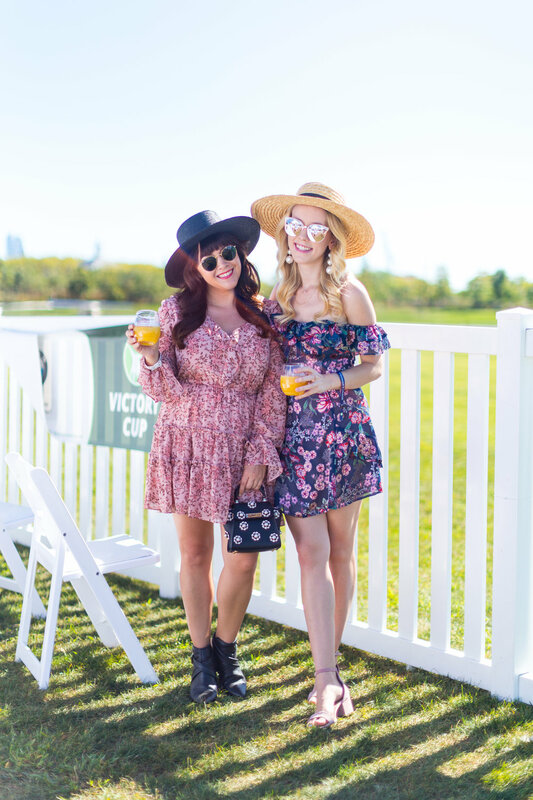 Luckily I found this great floral dress and was able to pick it up at Bloomingdale's the day before the match. 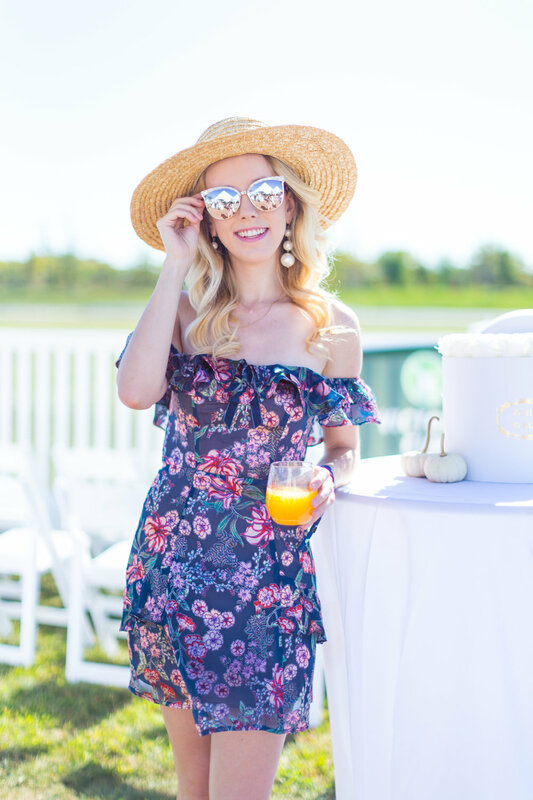 I love that the jewel tones and the velvet fabric details look like such a fall style but the floral and the short ruffled silhouette keep it cool and summery. I couldn't have asked for a better transition weather dress! The event was held on Governor's Island so it was super convenient to catch the ferry downtown only 10 minutes walk from my apartment. We wound up spending most of the day on the island and I was just so happy to be amongst all of my favorite people feeling fabulous and having fun. 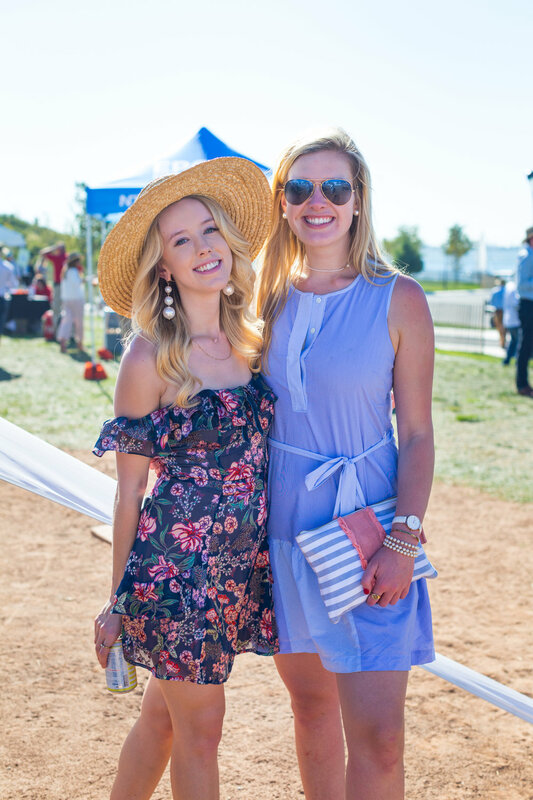 It was exhausting, many of us wound up sunburned (hey Marko), but it was such a wonderful time and I can't wait for my next polo match! 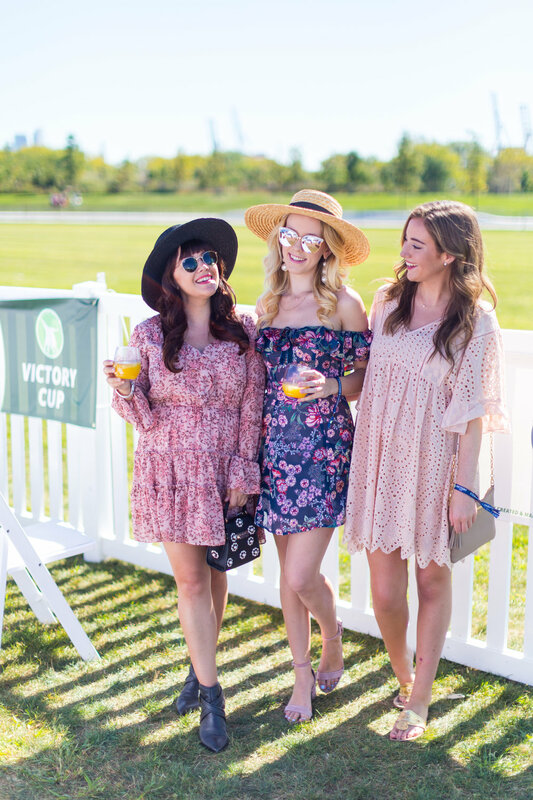 Victory Cup actually has several upcoming events all over the country, the next match being in Charleston, so be sure to check out their page if you're interested in attending! 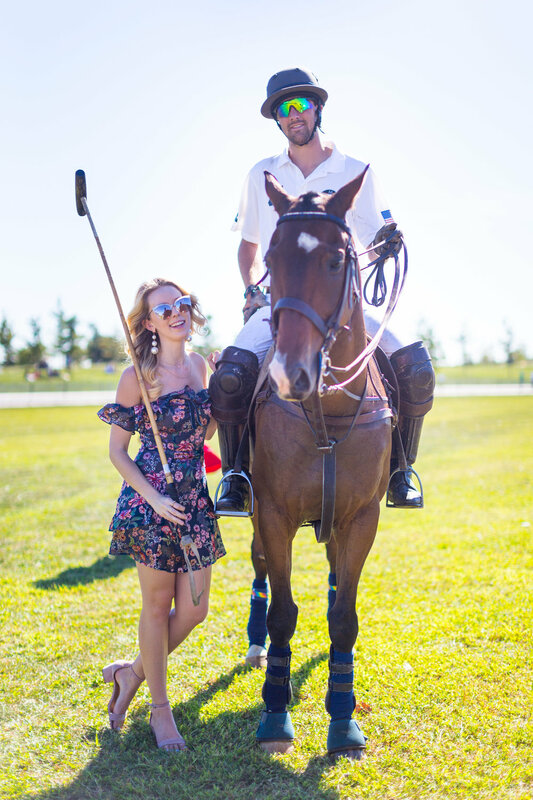 Have you ever been to a polo match? What was your favorite part?